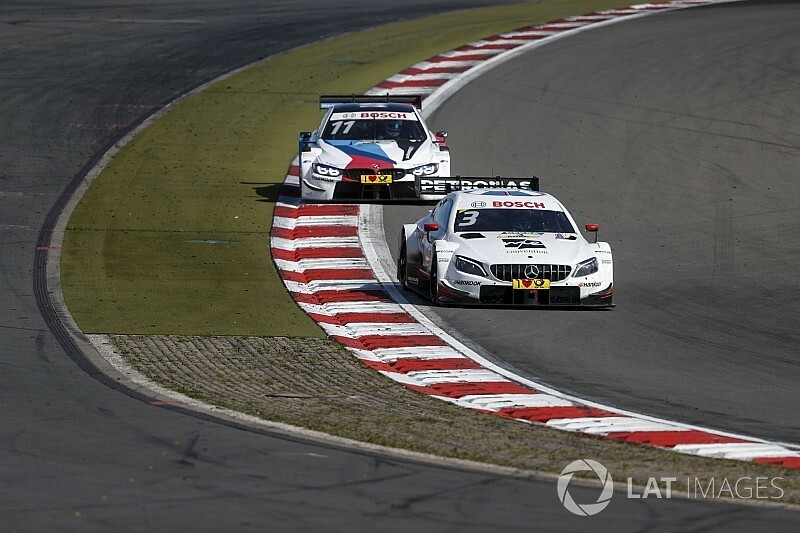 BMW believes Mercedes' dominance of the 2018 DTM season is helped by the fact that BMW and Audi have had to consider the future of the series alongside its racing commitments. Mercedes leads the teams and manufacturers' standings by a convincing margin, having won nine of the 16 races so far this season, while Gary Paffett and Paul di Resta are a comfortable first and second in the drivers' standings. 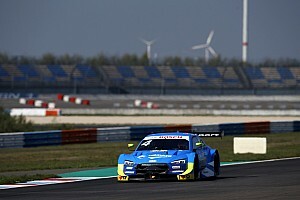 Audi has struggled to come to terms with the reduced downforce levels mandated in 2018 - although Rene Rast has managed to win three races for the manufacturer - and BMW has largely been the closest rival to Mercedes. 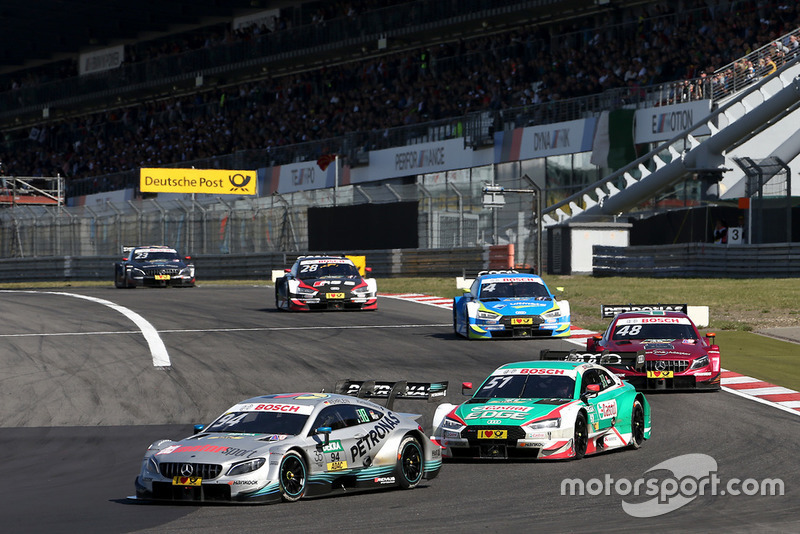 BMW motorsport boss Jens Marquardt says Mercedes's impending exit from the series has helped it dominate in 2018. 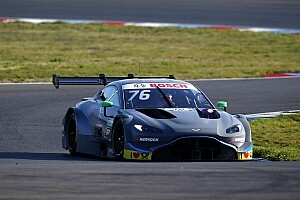 "Over the winter our focus was on the development of the four-cylinder engines, working with everyone on Class One regulations, and working with [organisers] ITR on the future of the DTM," he said when asked by Motorsport.com. "If you look at those three components, none of those apply to Mercedes. Yes, clearly, they could concentrate fully on the 2018 season. "The situation we find ourselves in, three Mercedes on top of the drivers’ standings, a big lead in the manufacturers’ [standings] and three teams [leading the standings] on the teams side, it is obviously something for Audi and ourselves - who put a lot of effort into bringing the DTM into the future - that is not an ideal scenario. "But hey, we’re in a sport, we’re sportsmen, we take it on the chin and fight and do the best we can to have a good 2018 but work on the future of DTM for ’19 and ’20 onwards. "Daimler [Mercedes' parent company] says goodbye and goes somewhere else." 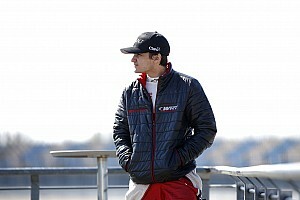 Audi motorsport boss Dieter Gass did not agree with Marquardt when asked for his view by Motorsport.com. "Thank you for this excuse, but I don’t think so," Gass said. "I think with the cars, where we are now [with the maturity of the current generation of cars], you should really be able to get to the maximum even if you develop next year’s car in parallel." Mercedes boss Ulrich Fritz also refuted Marquardt's assessment that a single-focus had given it an advantage. 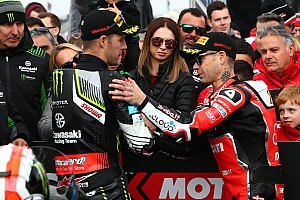 "No, I don't think so," Fritz told Motorsport.com. "Even if we are already working on the new car [for 2019], we would have separate teams. One would do the development and the other the running [of the current machines]. 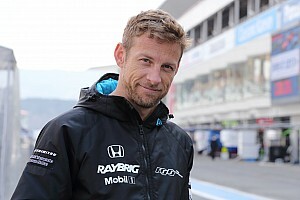 "It does not affect HWA, where the DTM’s programme has been and now it will be Formula E. There is no difference and the guys did a great job over the winter with the car, the set-up philosophy."